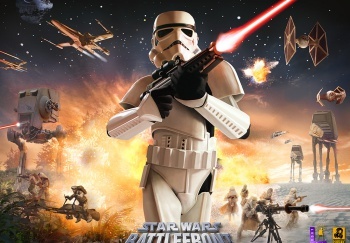 Affected titles allegedly include Star Wars: Battlefront, and Sniper Elite. Since its acquisition by freemium game publisher Glu Mobile, GameSpy has been shutting down multiplayer servers, according to reports from frustrated gamers and developers. Among the games affected, according to a Slashdot correspondent, are Neverwinter Nights 1 and 2, Star Wars: Battlefront, Sniper Elite, Hidden and Dangerous 2, Wings of War, Microsoft Flight Simulator X, and SWAT 4. Some games are still able to directly connect if the player knows the IP address, but otherwise multiplayer has been disabled for these classic games. According to Rebellion, maker of Sniper Elite, the decision was made without its input and it has little means of rectifying the situation. "We have been talking to [Glu Mobile/GameSpy] since to try and get the servers turned back on," said the developer in an official statement. "We have been informed that in order to do so would cost us tens of thousands of pounds a year - far in excess of how much we were paying previously." So the servers will stay off. GameSpy has yet to comment on the closures, beyond saying - in the case of Star Wars: Battlefront - that, as LucasArts was no longer supporting the title "we're obligated to disable the service per our Agreement with them." However a look at GameSpy's Facebook page shows a lot of disgruntled gamers are out there. They really don't understand what's going on, and want their games back. "Hi," said Michal Danyi on the GameSpot Facebook page, "Server List for Hidden and Dangerous 2 also down so it's possible pay you for again support this game? I can pay you how much will be want. or as we may be able to work out?" But payment may well be part of the problem; as Rebellion said in its statement, the new GameSpy strategy seems to be to bludgeon these old titles with fee demands far in excess of anything the developer can pay. It might be hoping that one or two will cave and pay up, but the more likely result is that most, if not all, will accept the server closure as a fait accompli; effectively clearing out what Glu might see as the GameSpy dead wood.